The Prophecy is much more than seeing into the future. For the Prophecy sees without the element of time. For the Prophevy sees what is, what was, and what always shall be. His was one of the most feared names during Iraq’s most violent years. 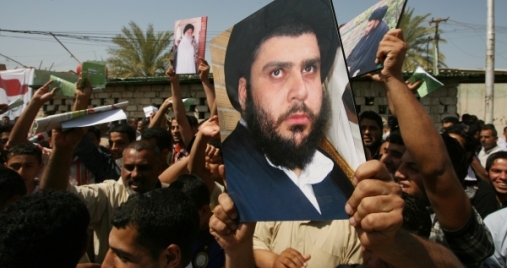 But more and more, Muqtada al-Sadr seems to be treading a path of political expediency. The question is why? Just a few short years ago, the followers of young Shiite Muslim cleric, Muqtada al-Sadr, were out on the streets kidnapping and killing their Sunni Muslim countrymen, embroiled in sectarian violence that virtually dragged Iraq into civil war. But late in 2012, al-Sadr, who is often described as a “firebrand cleric” in the Western media, was seen in a rather unusual place: attending prayers behind a Sunni Muslim religious leader at the Abdul Qader Al Kilani mosque in central Baghdad. The unified prayer meeting – unusual in bringing the sectarian foes together – was the culmination of a series of interesting moves by al-Sadr, where he had been openly supporting Sunni Muslims protesting against the current Iraqi government. That government is headed by Prime Minister Nouri al-Maliki, and the bloc that al-Sadr heads, the Sadrist bloc, is one of its main supporters. No wonder then, that some were confused. Was this a whole new al-Sadr? A different and more politically expedient man, than the one who was once exhorted his followers to kill? Certainly, al-Sadr has sent out many confusing messages of late. When the major opposition Iraqiya bloc, led by former Prime Minister Ayed Allawi, announced its intention to withdraw from the Iraqi government, al-Sadr first signalled that his group would join them in trying to end the current Prime Minister’s term prematurely. But when the time actually came for action, al-Sadr resisted joining the mostly Sunni Muslim Iraqiya bloc in withdrawing support. In a statement issued by his office in Najaf, al-Sadr said that he was against the withdrawal from government because it would be detrimental to the interests of the Iraqi people. And it was yet another example of how al-Sadr keeps taking one step toward isolating al-Maliki and curtailing his power, but then, at the last moment, taking two steps back. Our bloc could oust the government led by al-Maliki within a week, boasts Hakim al-Zamili, a leading member of the Sadrists. “We made him a prime minister,” he argues. “But we wanted to prevent the country from further political and security turmoil. So we couldn’t take any step that would have caused more suffering for the Iraqi people,” he explains. In fact, the Sadrists are this confident because their party is founded on an ideological and religious basis, rather than a strictly political platform. This guarantees them a certain guaranteed level of popularity among Shiite Muslims. It also allows al-Sadr more flexibility and pragmatism, letting him adopt tactics that annoy and confound both his enemies and his allies. It allows him to bring pressure to bear from various sides. The difference in the way that al-Maliki and his allies dealt with the growing Sunni Muslim protests in the western province of Anbar and the way that al-Sadr was able to deal with them, demonstrates this. For example, in February he sent a delegation to meet ranking Sunni Muslim cleric, Abdul-Malik al-Saadi, who had returned from Jordan to support the protestors and who was a figurehead for them. Besides sending a delegation to meet al-Saadi, al-Sadr also expressed his solidarity with the Sunni Muslim cleric in regard to his anti-sectarian stance. Meanwhile al-Maliki and his allies were slow in reacting to the protests, playing for time. Whereas al-Sadr seemed to spare no effort in trying to find acceptable solutions that would see protestors return home. So is this a new al-Sadr? Has the former “firebrand cleric” matured politically and worked out how to play the game? The Islamic republic earlier this year said it would install the new-generation centrifuges at its Natanz uranium enrichment plant. The reports in Iranian agencies appear to be the first time a specific figure has been given. The announcement, which comes after talks between Iran and world powers in Kazakhstan about its disputed nuclear programme, underline Tehran’s continued refusal to bow to Western pressure. 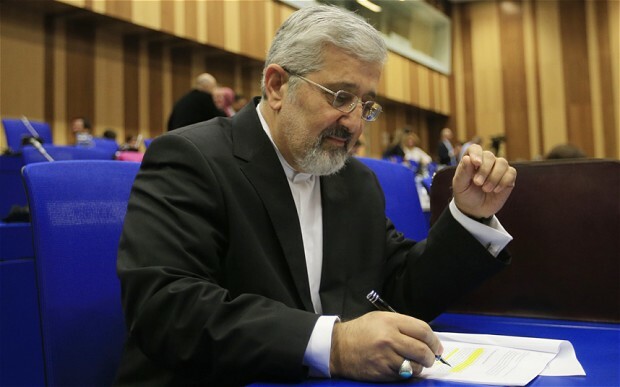 Iranian media on Sunday paraphrased Fereydoun Abbasi-Davani, the head of Iran’s Atomic Energy Organisation, as saying Iran was producing 3,000 new-generation centrifuges. „The final production line of these centrifuges has reached an end and soon the early generations of these centrifuges with low efficiency will be set aside,“ Abbasi-Davani said, according to the Fars news agency. The International Atomic Energy Agency (IAEA) said earlier this year that 180 so-called IR-2m centrifuges and empty centrifuge casings had been put in place at the facility near the town of Natanz in central Iran. They were not yet operating.